I finished 4 cards for my boys to write thank you notes to their God parents. Since I homeschool them, I can use this for their school and that gives them incentive to write nicely. You know how boys are with pencils in their hands, "oh, I can't write that much","oh, my fingers hurt", "when is this over"....you get what I mean. 2 are Magnolia cards colored in Copics and 2 are basic cards using a chalkboard technique that I have been seeing lately. I found the best tutorial at Betsy's blog here. I just love Edwin sitting on the sleigh looking at the long list of wants. I put my kids name on the list to personalize it. The paper is Memory Keeper "Winter Frost" and the metal charm near the bow is also from that set. It comes with a page of tags and little spaces to write to I chose a few of those to use on this card. The inside is uses the same paper and a writing space, I love how it coordinates. My Hubby gave me a new camera and I am trying to figure out how to use it, I hate reading instructions but some of the photos are better than others. I cannot justify the nicer DSLR camera's as I break them with in a year, I do not know why, just happens. This camera is a step down from the entry level DSLR. I am hoping for a longer life as well as clearer photo's on this camera. The inside of the the card. I did the chalkboard sentiment on the left and a poinsettia in the corner on the right. Black paper and SU craft white ink, sponge lightly the edges, simple. 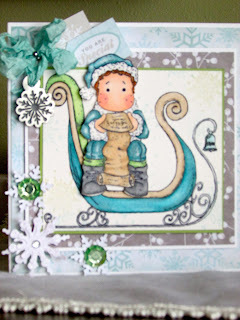 Betsy show's you how to step it up a bit and create a more ornate one. I hope you enjoyed your Christmas holiday with family and now looking forward to New Years and all that is yet to come. Wishing you happiness and good health to all. Hey Sugar!!! 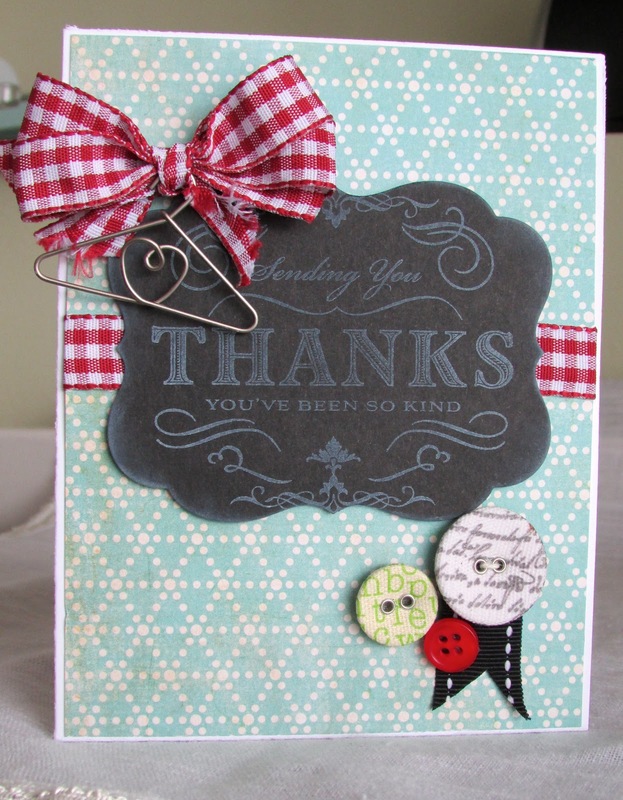 These are fabulous Kelly - I love the colors you used on the first sled and I have always loved buttons on cards. You've done a great job kid!! Awesome cards, Kelly. Love the chalkboard sentiments. Those are fabulous. 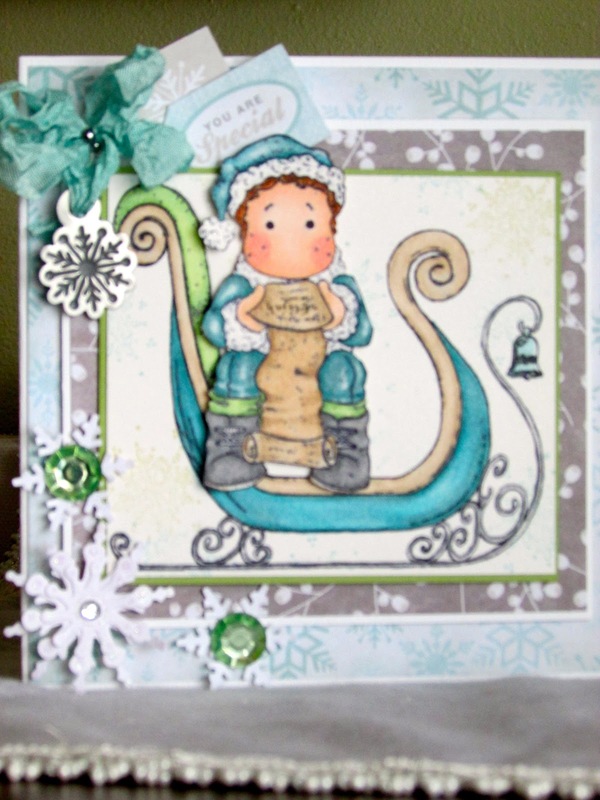 Your Edwins are adorable on those cute little sleigh images and the receipients are sure to enjoy these. Hello Kelly, I love this chalkboard look, must try that technique! 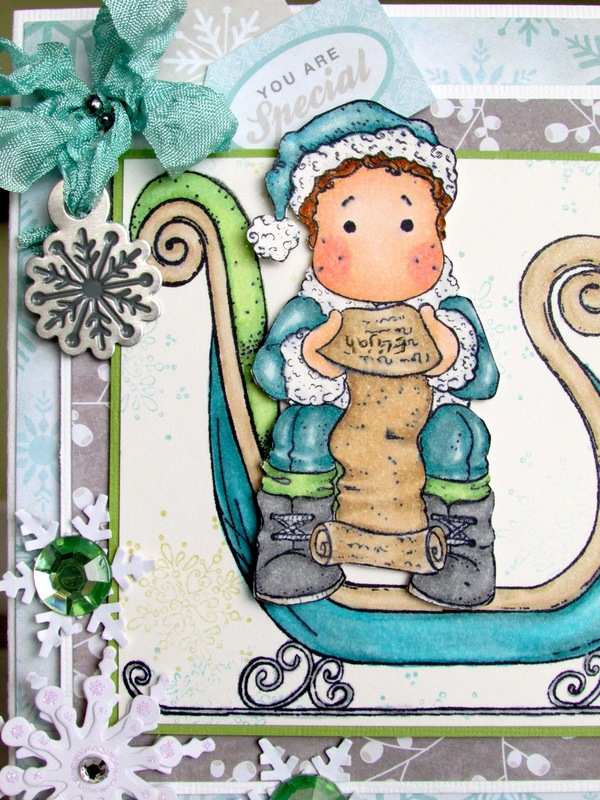 Edwin is adorable sitting on the sleight, what a lovely combination of stamps. Very cute layout and colors. Hugs. Beautiful cards, Kelly! Love the sled and both Edwins....outstanding job! Must try the chalkboard technique! P.S. I don't like reading directions either..hahahaha! Oh Kelly, I love them all!! And good thinkin' on your part for the school lesson, nothing is better than hand written thank you notes. Happy New Year! They are all so pretty. Very creative Kelly! Happy New Year! LOVE the red sleigh Edwin and I've had fun with the chalkboard art too! 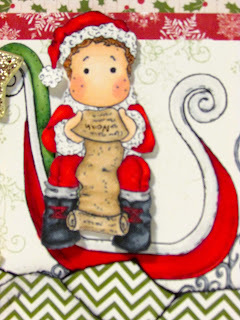 Such a fun Christmas season but it went by too fast and I didn't get near enough of my new stamps inky to paper! lol Happy New Year Kelly! Kelly these cards are gorgeous inside and out. WOW you've been busy with the holidays and making cards too! I too like that chalk board technique that you did. Happy New Year!! Beautiful cards, Kelly. 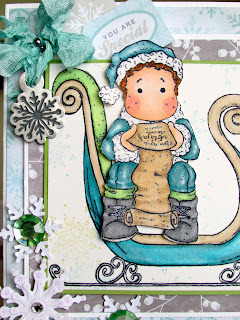 Love the image of Edwin sitting inthat sleigh--in both colour schemes. Gorgeous papers you have. The chalkboard-technique cards look fab. 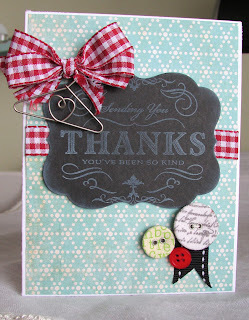 Such a darling card, and you have inspired me!!! Who made that sleigh stamp, please?